The funnyman could soon bring the Sonic villain to life. It looks like we could soon see Jim Carrey taking on the role of Dr. Robotnik/Eggman in the upcoming live-action Sonic the Hedgehog movie, if a report via Deadline is true. Sources say that Carrey is currently in negotiations to star in the upcoming Sonic film from Paramount to play Robotnik. The movie already stars James Marsden as Sonic himself, as well as Tika Sumpter. Jeff Fowler is responsible for directing the film, with Neal Moritz, Mie Onishi, and Tim Miller signed on as producers. Sonic works to stop the evil Dr. Eggman from taking over the world, in a script penned by Pat Casey & Josh Miller -- surprise, surprise, Eggman/Robotnik is up to no good again. We already know Carrey is capable of playing some excellent villains, and those roles are in fact where he shines the brightest. Forget Ace Ventura. I love Eternal Sunshine of the Spotless Mind Jim Carrey back. 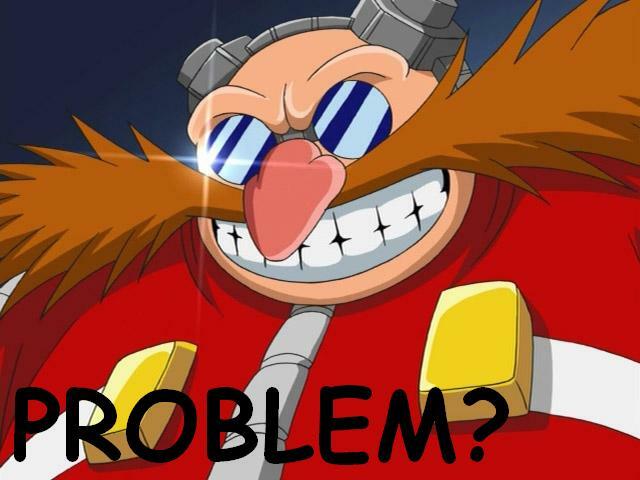 I'm not so sure about him playing Robotnik, but...hey, we'll see! I don't understand this movie. It's live action but James Marsden is sonic?